So Dagger Defense gave me one of the new Ta-Con 3MR Trigger kits the other day to test and evaluate as a contender for some new AR-style rifle builds we are planning. Admittedly after watching the demo videos on Ta-Con’s website, I was a bit excited to see what this new trigger had to offer out of the box. While not advertised as a full auto trigger system, the videos do insinuate that it is near full auto, but completely legal. While it is true that the 3MR is completely legal (they even include a copy of the letter from ATF saying so in the package), it was less than satisfying based on my initial hopes. The videos give the impression that with drop-in 3MR trigger, the user will be able to manipulate the selector switch on their AR all the way to the rear, to in-effect go full auto – similar to military and LE versions more commonly known as the M4. The 3MR trigger is a drop-in ready, self-contained trigger kit that is easily installed without the need to take your rifle to a gunsmith. Once installed, the kit does allow the user to manipulate the selector switch all the way to the rear (as advertised), same as you would do if your weapon was truly full auto. However, here is where the 3MR was a big letdown… Once in ‘select fire’ mode (selector to the rear), when the trigger is depressed only one round is fired and the bolt cycles and resets the trigger like it normally would under semi-auto mode. There was no burst or near full auto capability (as the videos suggest) observed in my testing; it was still semi-auto fire with the selector switch flipped all the way back. So in effect you now have a trigger with two semi-auto selector modes, which in my mind doesn’t serve any real purpose other than giving the user a bit of a “cool” factor in being able to flip the selector all the way back. One nice thing about 3MR trigger is that the actual trigger pull is smooth and has a nice clean break, and the reset is very short. The short reset allows for follow on shots to be taken quickly, but still requires you to pull the trigger each time. When compared to other commercially available drop-in trigger kits I have tested, I observed no noticeable difference in performance or reliability that would justify paying twice as much simply for the satisfaction of being able to manipulate the selector switch to the rear. After a closer look at the demo videos following my disappointing test fire experience with the 3MR, you can tell that the shooter in those videos is actually pulling the trigger each time a round is fired, albeit the shooter is doing this very quickly using a ‘feathering’ technique common in the tactical and competition shooting arenas. This technique, when done correctly, can give the impression that a rifle is full auto – but it isn’t, and further this technique requires a bit of finesse and takes time to develop. In my opinion the added satisfaction of being able to manipulate the selector switch to the rear isn’t worth the cost of admission with the 3MR trigger. 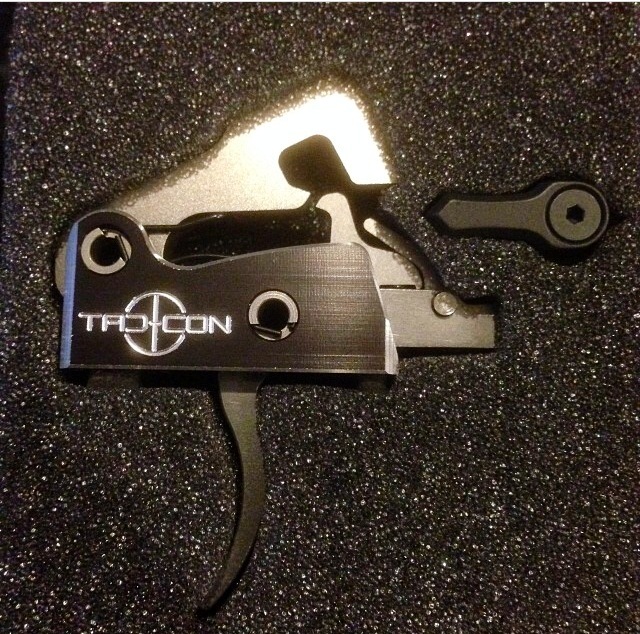 There are other drop-in trigger kits available that have similar, if not better, smooth trigger pulls and short resets that allow you to get the same rapid fire results, and at half the cost.